A much-beloved installment in special edition bourbon season — Four Roses’ Limited Edition Small Batch — has arrived. 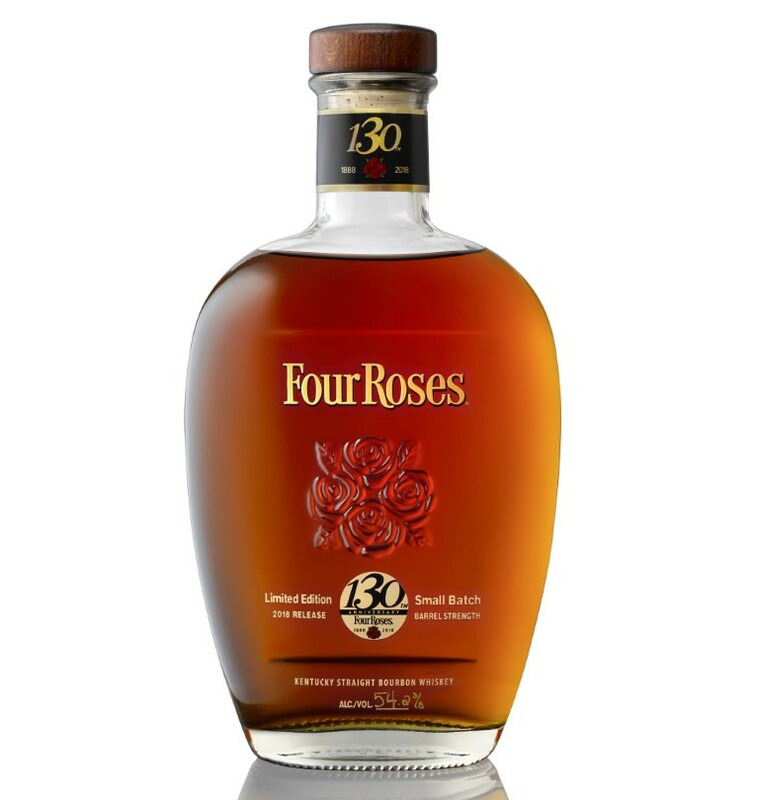 As Four Roses now seems to find something to celebrate as part of each annual release, this one is no different, marking the distillery’s 130th year in operation. This year, Four Roses is raising a glass and toasting its 130th Anniversary. To celebrate, the Distillery will issue the newest release in its series of limited-quantity special bottlings – the 130th Anniversary Limited Edition Small Batch. This very special bottling commemorates the brand’s 130-year history of handcrafting quality Bourbon and the love story that started it all. Four Roses will distribute approximately 13,140 hand-numbered bottles of the 130th Anniversary Limited Edition Small Batch Bourbon in the United States with a suggested retail price of $140. So let’s give 2018’s Small Batch the Drinkhacker experience. Woody and quite savory on the nose, with aromas of cloves and thyme, it’s a departure from the increasingly popular sweeter style of bourbon, though notes of vanilla and coconut do emerge. Lots going on here, but even on the nose it’s well balanced. The palate sees ample spice, butterscotch, and a lingering barrel char. Water’s not a bad call here, as it brings forth some new flavors of lemon tea, while it pumps up the spice element, too. The finish is peppery, again with ample baking spice, gritty char, and some dark chocolate notes. Those looking for a sugar bomb need not apply, but fans of a more sultry, introspective style of whiskey will find plenty to enjoy here. Four Roses Limited Edition Small Batch Bourbon 2018 Edition "130th Anniversary"